On Memorial Day weekend, May 24 – 27, 2019, Rotary Club of Green Valley will present its second annual Field of Honor® at Cornerstone Park in Henderson, Nevada. Our Field of Honor® will be a spectacular display of more than 1,000 American flags that honor our heroes: veterans, active duty military, first responders and community members whose lives reflect the Rotary motto: “Service Above Self”. The sea of red, white and blue promises to be a powerful experience, not to be forgotten. A special area, sponsored by Rotary Club of Green Valley, will be dedicated in remembrance of the 58 victims of 1 October. 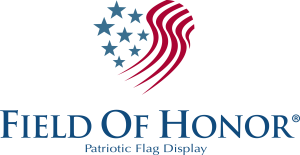 The Field of Honor® will create awareness, unite our community, and raise money to be distributed to local charities by the Rotary Club of Green Valley. 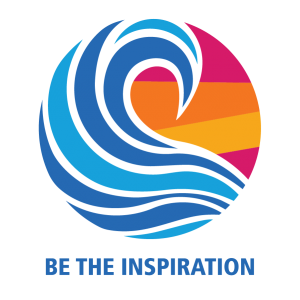 The Rotary Club of Green Valley beneficiaries include The Henderson Food Bank, Henderson Teacher Mini Grants, Project 150, Henderson elementary schools, Green Valley High School, Silverado High School, Nevada Rotary Foundation and other community organizations. Show your support by purchasing flags to honor the heroes in your life at the Colonial Flags website https://www.healingfield.org/henderson18/ or by becoming a sponsor or donating on this website (https://www.greenvalleyrotary.org/). Your participation may be tax-deductible as the Rotary Club of Green Valley is a non-profit group [501(c)3]. We invite you to share in this meaningful and moving project to honor our beloved heroes. There will be no charge to visit the Field of Honor® and all are invited to walk with us through the rows of flags during daylight hours, Friday through Monday of Memorial Day weekend. Join us on Memorial Day, Monday, May 27th at 8:00 a.m., for an inspirational program to honor our heroes. It will feature entertainment by various artists, including performances by local high school students and veterans’ organizations, and presentations by several community leaders.